Aiding and abetting theft is deportable | Jon Katz, P.C. 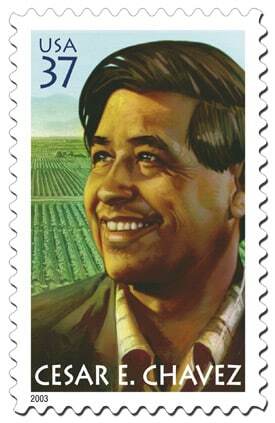 Cesar Chavez: A champion for the empowerment of workers and immigrants. Since the beginning, photographic tributes to Cesar Chavez and Martin Luther King, Jr., have been prominently displayed in our law firm’s reception area, giving us continued inspiration to keep fighting for justice and the underdog. Our law firm strongly opposes the government’s draconian laws enabling deportation for even the most petty, wrongfully-decided against the innocent, ancient, and first-time offenses. Defending non-U.S. citizens in criminal court often presents a minefield of risks for the defendants’ immigration status. I neutralize and dilute many of these mines by working in tandem with our immigration law partner Jay Marks. The value of a green card/United States permanent residency, versus obtaining citizenship, has diminished substantially with the many convictions that bring immigration risks, and the reduction in various social services available to green card holders that are available to United States citizens. Convictions frequently even strike the innocent, both through wrong guilty findings by juries and judges (let alone from wrongful arrests and prosecutions), and by guilty pleas entered not because of guilt, but to avoid much harsher outcomes at trial as a result of lying snitches and other lying witnesses, mis-identification, and the list goes on. Confirming this risky criminal-immigration minefield is the Supreme Court’s January 17, 2007, holding that aiding and abetting theft is deportable. The case is Alberto Gonzales v. Duenas-Alvarez, No. 05-1629, 549 U.S. ___ (Jan. 17, 2007). Many convictions of the innocent result from people being in the wrong place at the wrong time without having committed a crime at all. For instance, it is no crime to be a passenger in a stolen automobile without knowing that the car has been stolen, but, in such places as Maryland, it is a crime to be in a car with knowledge that it is stolen. Md. Crim. Code § 7-203. Such a law is ripe with risks of wrongful arrests and convictions of passengers who do not know the cars are stolen, by juries and judges wrongfully inferring the passengers’ knowledge of the theft. A passenger’s innocent presence in a stolen vehicle also risks a conviction for stealing the car or for aiding and abetting the theft of the car. The Supreme Court’s Duenas-Alvarez decision enables deportations for convictions for aiding and abetting theft. How do we end the injustice of wrongful convictions and deportations even for a fifteen-year-old conviction for stealing a dictionary from Borders? This can only be done through a multi-pronged approach of changing people’s attitudes (please start learning, talking and writing now), insisting that our legislators reform the laws accordingly, insisting that our federal and state executive branches of government administer the criminal and immigration laws more fairly, reforming the entire criminal justice system, and bringing voter referendums for legal changes to improve the whole situation. A modest proposal?